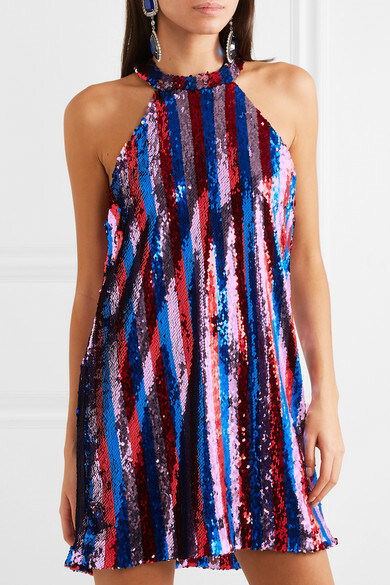 Halpern's mini dress is what we imagine the perfect party outfit to look like - just seeing it in hanging your closet is guaranteed to get you in the spirit. 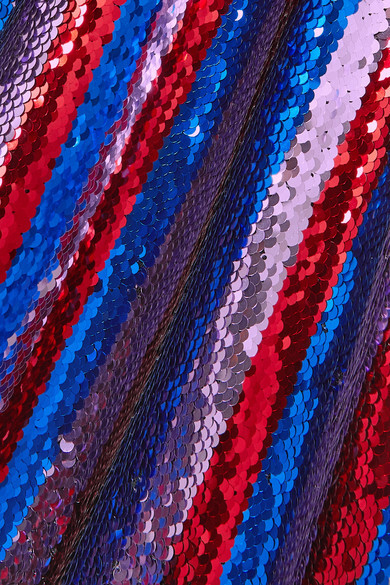 Made from tulle drenched in light-catching sequins, it's cut for a slightly loose fit so it won't feel restrictive on the dance floor. The halterneck frames your shoulders in such a flattering way. Shown here with: Hillier Bartley Clutch, Gucci Shoulder bag, Alexandre Vauthier Sandals, Balenciaga Earrings.